Even with my architecture background, I’m not overly fond of visiting provincial capitols. I often find them dull and hollow, their architectural pompousness making up for their lack of historical context. 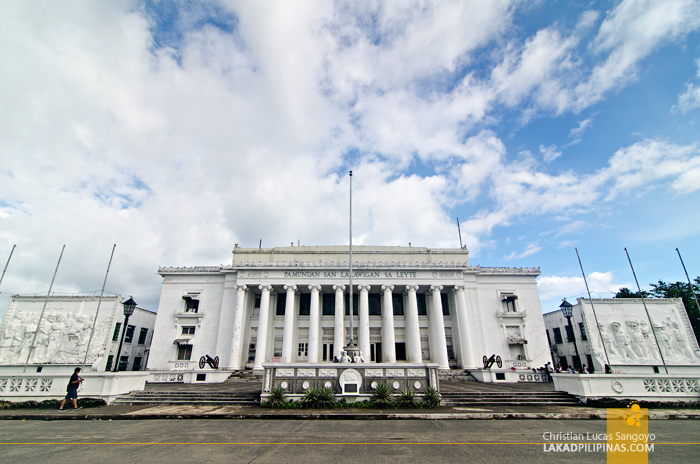 So it was with Leyte’s own provincial capitol, with time to spare and nowhere else to go, my companions dragged me, kicking and screaming, to see one of Eastern Visayas famed capitols. Without any backgrounder on it, I was surprised to find the symmetrically neo-classical building to be quite interesting. Walking around its dark pebble-washed patio, I found a National Historical Committee marker. This building has historical significance after all. 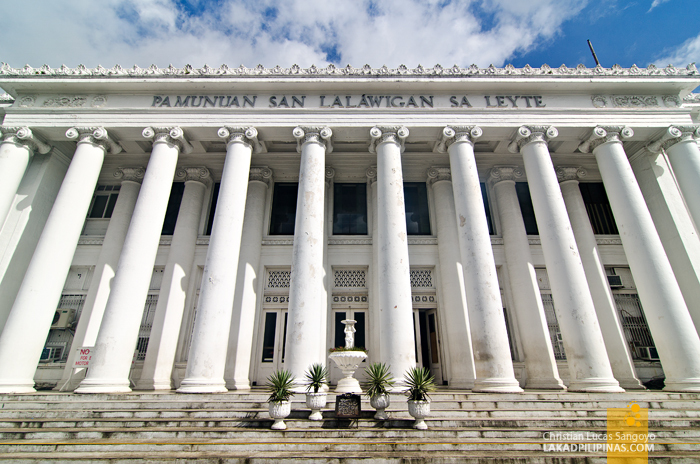 The structure was built in 1907. Who designed it is a toss-up between the Filipino architect Antonio M. Toledo, who also did the Manila City Hall and the similarly-designed Department of Tourism Building; versus Ralph Harrington Doane, a Boston native who became the consulting architect of the Philippines from 1916 to 1918 who’s also credited for designing Pangasinan’s capitol and parts of Malacañang Palace. 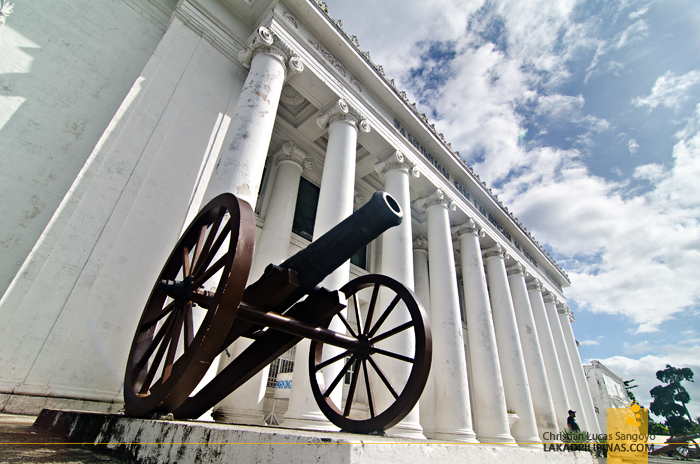 Leyte’s Provincial Capitol is as American as it ever gets with its neo-classical and all white facade complete with two 19th-century iron cannons right along its concrete steps. 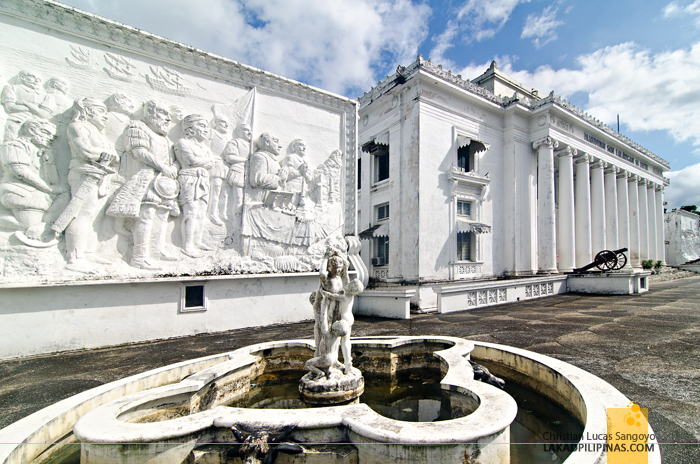 Off its left wing, a bas relief of the first Christian mass held in Limawasa stands, and on its right, Gen. MacArthur’s Leyte landing is depicted. Both of these are later supplements added after its 1964 restoration—and not superbly done, if I might add. 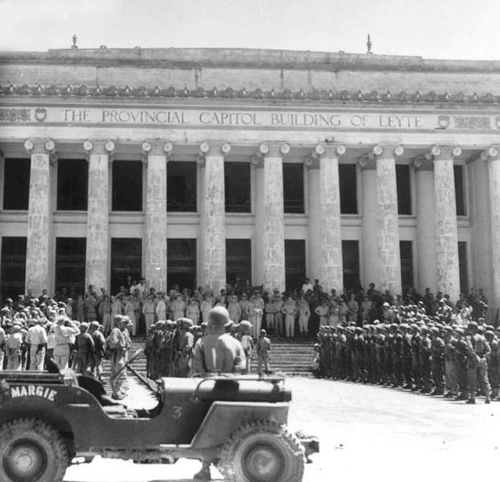 The building became the center of the Philippine Commonwealth Government for less than a year, between October 1944 and up until February the next year, when Sergio Osmeña Sr. was proclaimed president by Gen. MacArthur himself within its rubble-stricken halls. 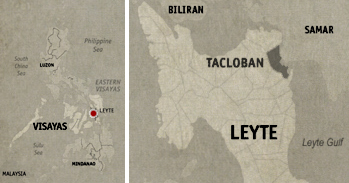 It was said that the general promptly took off right after the ceremonies, leaving the newly-anointed Philippine President beleaguered outside the building; without lodgings, vehicle and a home. Now, the place looks as dilapidated as it probably once did during the height of the Second World War. 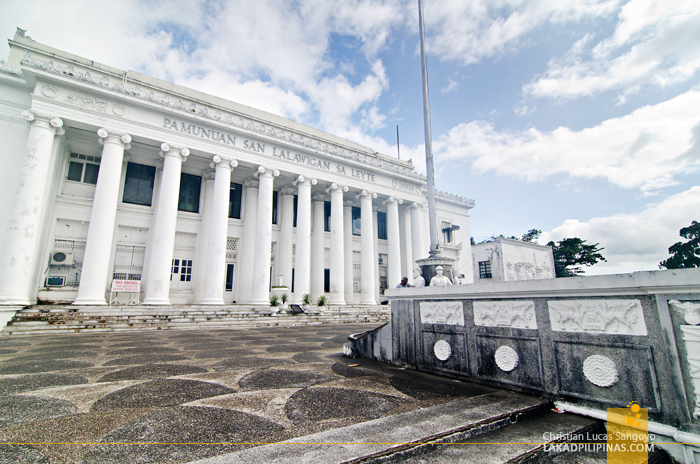 The once immaculate paint is cracking, the fountains reeking with stagnant muck, its once grand patio, stained and in need of a good scrubbing; one of the ghastly ghosts left by Typhoon Yolanda’s wrath, perhaps. 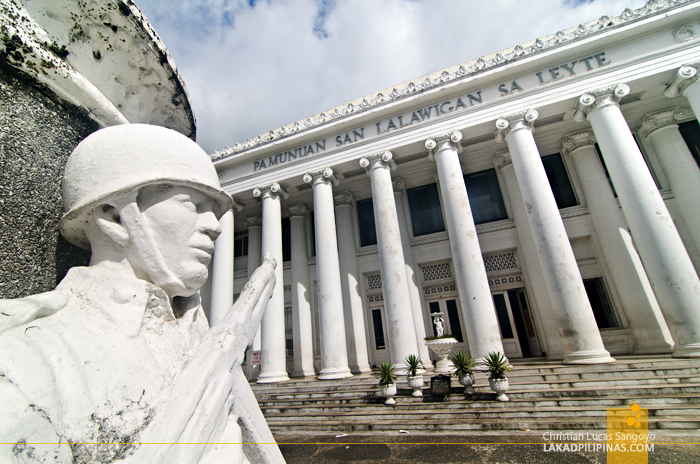 The next time I visit, I hope I could see Leyte’s Provincial Capitol restored to its former glory; holding up the rich history it once was a witness to with honor; standing high and proud, as it did during the decades past. That's good to hear! Hope to revisit it someday.